• The LG Twist Vertical Reel aims for the most utlra light-weight construction possible in a speargun reel. 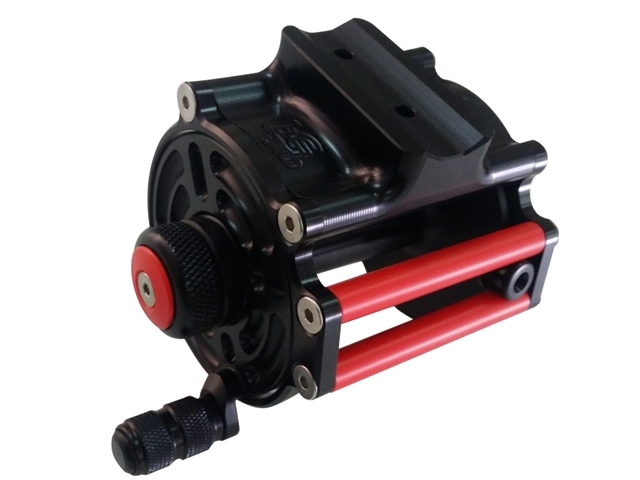 • This is the only reel in the marketplace that features a unique adjustable clutch that can be finely calibrated according to the user's needs. • Efficient and simple aluminium anti over-spool bar at the rear. • Frame is made from acetal resin - Delrin - a light polymer of excellent mechanical strength, self-lubricating and does not suffer from the contact with water, exposure to sun or salt. • The reel LG TWIST Vertical reels are extremely durable because the plastic material, electrically inert, can join the aluminum shaft with no problems of galvanic corrosion. • Spool is also made from lightweight but extremely tough Delrin material. • Easy grip knurled clutch knob and retreival knob. • Made to fit simply and easily onto any model of Pathos speargun. This Product was added to our catalogue on Wednesday, 01. March 2017.